Caño Cristales is one of the most spectacular destinations in Colombia. Here’s everything you need to know about travel to the river you’ve got to see to believe. 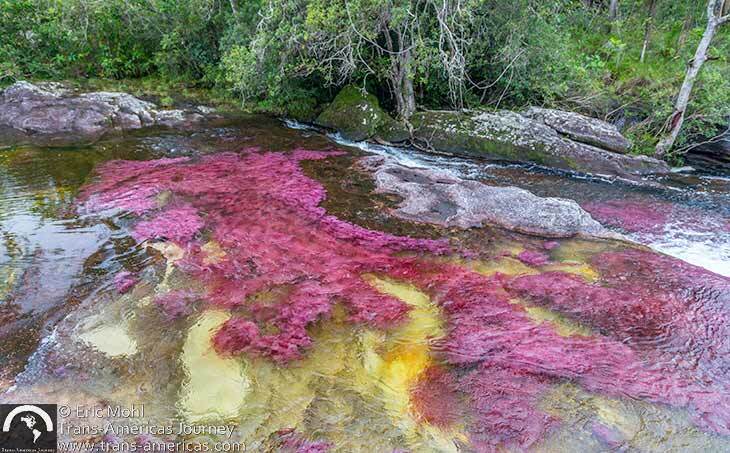 The Caño Cristales river in Colombia naturally blooms in a rainbow of colors during certain months of the year. The word caño refers to a river that’s less than 60 miles (100 km) in length and Caño Cristales is, in fact, very short as far as rivers are concerned. 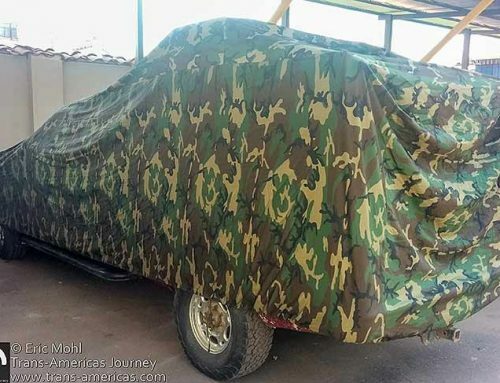 However, it’s got a big secret. For half the year, Caño Cristales, which is sometimes called the “the Liquid Rainbow,” “the River of Five Colors” or even “the Most Beautiful River in the World,” bursts into a Technicolor display (see even more proof of those lofty nicknames in our Caño Cristales photo essay). Don’t call it algae! 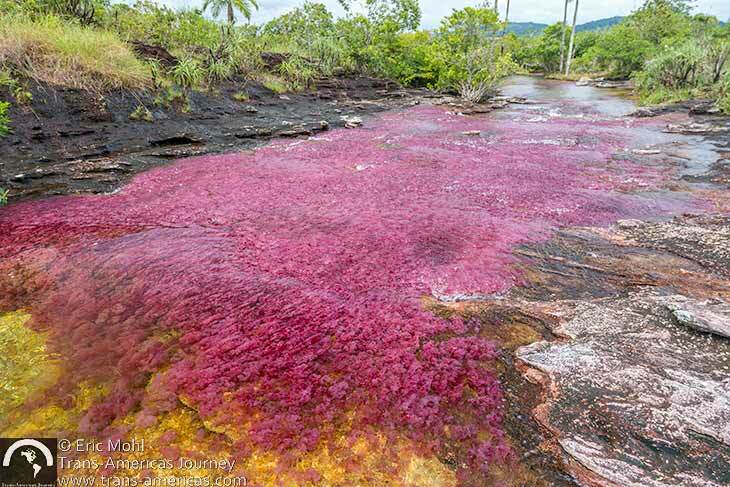 Close ups of the Macarenia clavigera aquatic plant which causes the remarkable colors in Colombia’s Caño Cristales. You can thank an aquatic plant (it’s not algae) called Macarenia clavigera for this seasonal explosion of color. It’s found nowhere else on earth and at its annual peak it produces many shades of red (from pale pink to hot pink to blood red to maroon). Bright green colors happen in shady areas of the river and blue, yellow and orange are seen as well. Shades of red and green are the most common colors in Caño Cristales, but blue and yellow are seen as well. Caño Cristales is located in an area of western Colombia called Los Llanos which accounts for about a quarter of Colombia’s total land mass. Here, llaneros (Colombian cowboys) roam some of the richest tropical grasslands in the world along with massive anacondas, birds of prey, large groups of capybara, and what The Nature Conservancy has estimated to be the largest number of critically endangered reptiles on earth. Baggage handling at the airport in La Macarena, gateway to Caño Cristales. 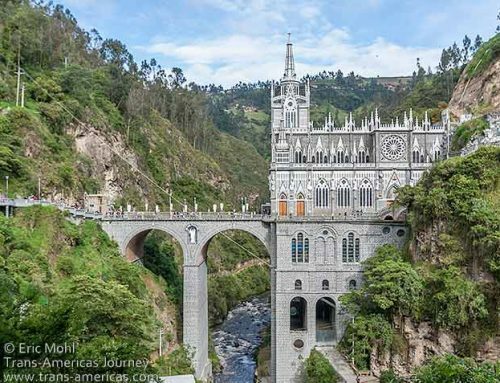 The gateway to Caño Cristales is the dusty town of La Macarena which is reached via flights in small passenger planes from Bogotá or in historic DC-3 cargo planes or eight-seater puddle jumpers from Villavicencio. 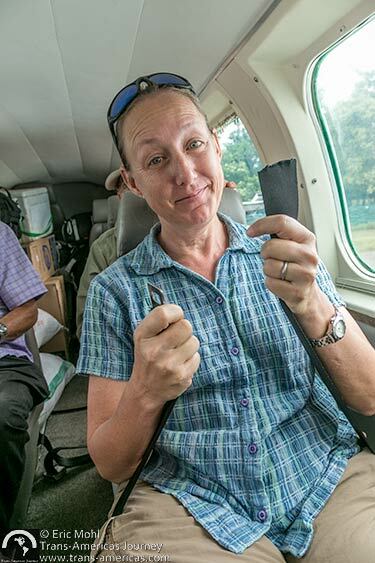 The plane we took from Villavcencia to La Macarena was missing a seat belt. The pilot apologized, but Karen flew without a functioning seat belt anyway. 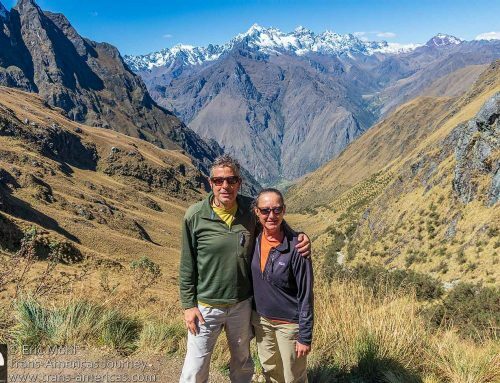 Tour companies, including Eco Turismo Macarena which is locally owned and the oldest tour company in the area, offer all-inclusive package tours which handle the flight, your accommodation, your meals, and your guide. 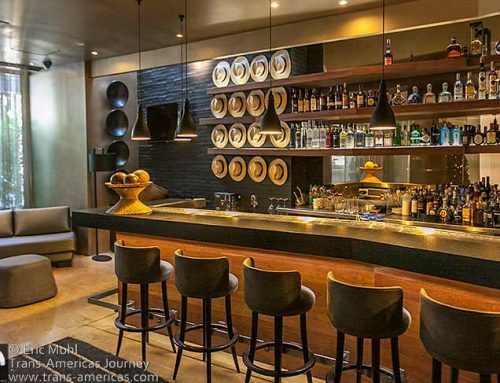 Modern conveniences are slowly coming to La Macarena and its 5,000 residents. 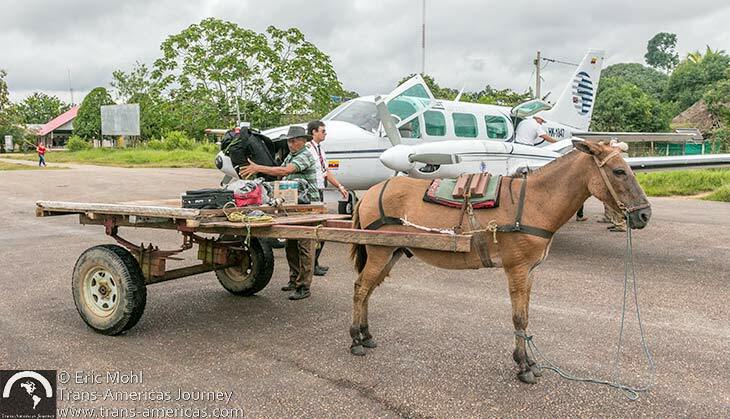 The luggage vehicle at the airport is a cart pulled by a mule. Twenty four hour electricity arrived around 2012, the town recently got its first ATM (though it’s often out of cash, so bring plenty), and all streets may be paved “soon.” Tourism is speeding the pace of modernization by creating jobs for many locals and dozens of young locals have been trained as guides, including many young women. Kids in La Macarena demonstrating a beloved local dance. 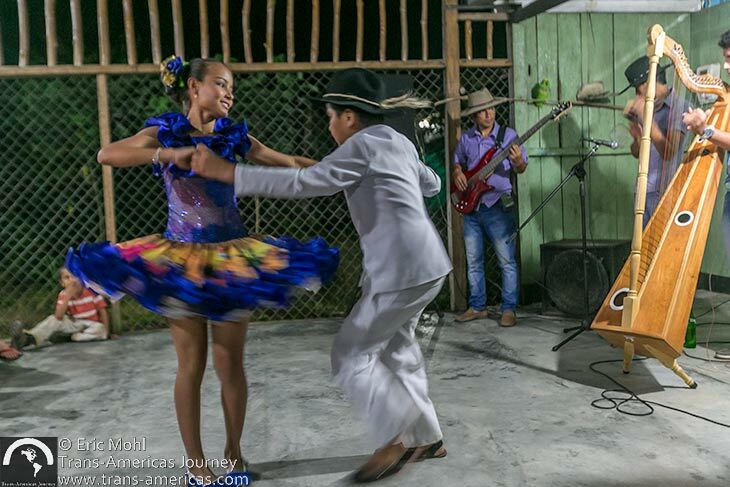 Inhabitants of the Llanos are proud to be Colombian but they’re also proud of their distinct regional customs, including a very fast-paced traditional dance that involves bright dresses with plenty of tulle in the skirt and a lot of foot stomping. 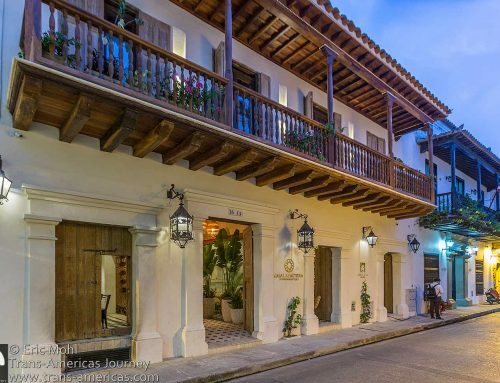 Charmingly homespun yet polished traditional music and dance performances are put on for visitors at the cultural center in La Macarena which has a distinct Wild West feel. 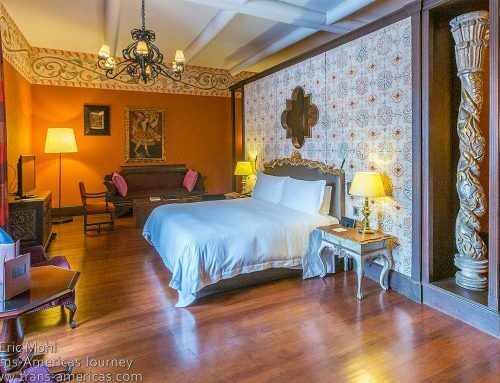 There are around a dozen guesthouses and a smattering of restaurants in La Macarena. 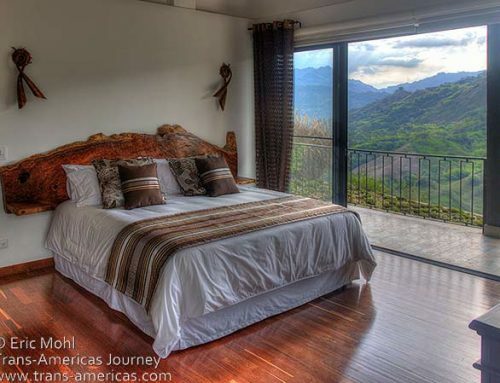 We stayed in Hotel Brisas Shalom which was basic, but was also clean and comfortable with a private bathroom, TV, and a fan. 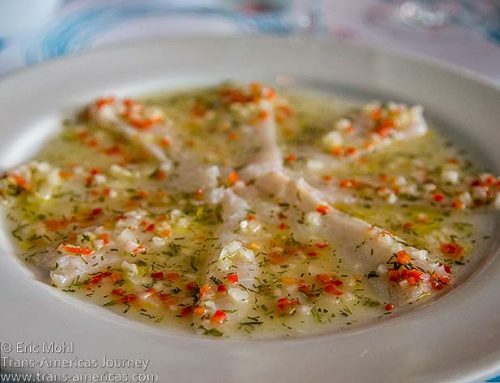 Our many meals at Punto Verde restaurant were all good. Our group takes a break while hiking to and around Caño Cristales. How can I visit Caño Cristales? 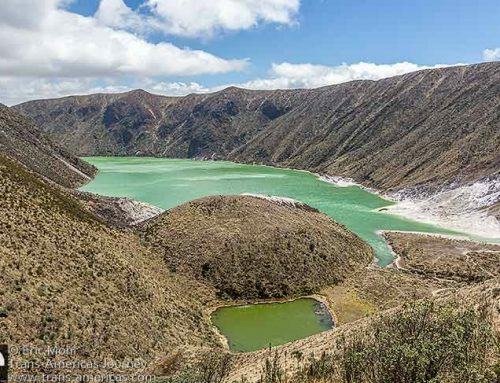 There are two guide associations in La Macarena and they are impressive examples of community tourism and how an organized approach can help assure that the locals benefit from tourism. Our guide was Erika Diaz who was born in La Macarena. When we met her she’d been guiding for about five years following training with the Cormacarena cooperative. Her knowledge, English, and personality were all great. 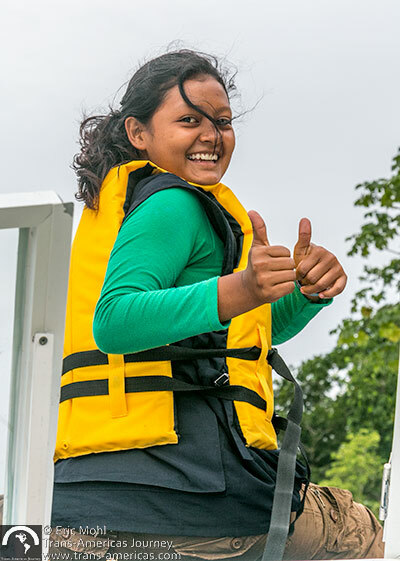 Our guide Erika Diaz was born in La Macarena and received guide training and jobs through one of the local guide associations. 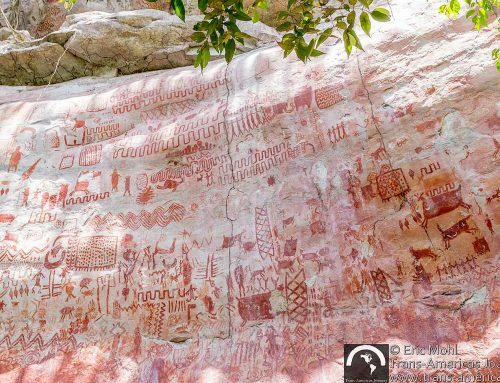 To reach these magical waterways, visitors and their guides (it’s mandatory to take a local guide and group size is limited) take motorized boats from La Macarena and travel on the Guayabero River followed by a short jeep ride. Keep an eye out for macaws and howler monkeys. 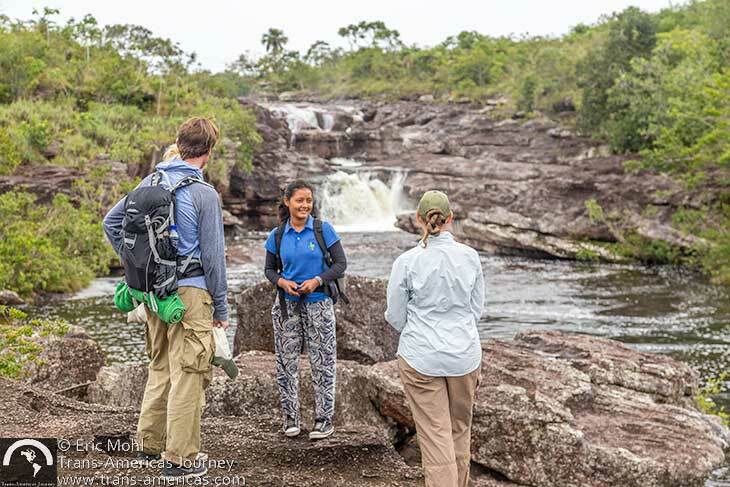 Three hiking trails give visitors access to the Caño Cristales river system. One of the boats that takes travelers on the Guayabero River to access Caño Cristales. Be prepared for wet feet. We wore our Crocs with socks. The hiking is easy (boots really aren’t required) and when the Crocs got wet it didn’t matter. Swimming is not allowed in areas where the very fragile water plants are found, but there are some designated swimming areas, so wear your swimsuit. But skip sunscreen and insect repellent. Both items are not allowed because they harm the plants. The “Rainbow River” living up to its name and fame. We wanted to drive to La Macarena along one of the handful of rough roads through the grasslands, but we were warned against it because of FARC guerilla activity. 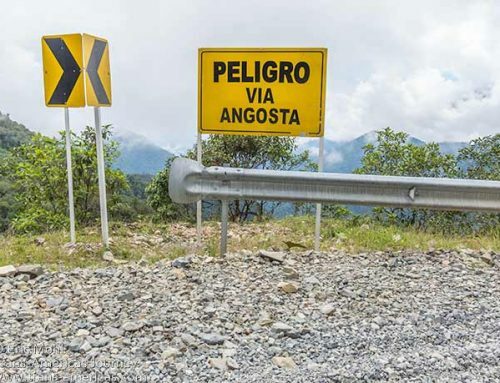 Some trails to the river system are accessed by driving over portions of the so-called “guerilla highway,” a rough dirt road built by FARC, in some cases using the forced labor of FARC prisoners. For years Caño Cristales was inaccessible due to guerilla activity, though some intrepid locals visited Caño Cristales on day trips anyway. 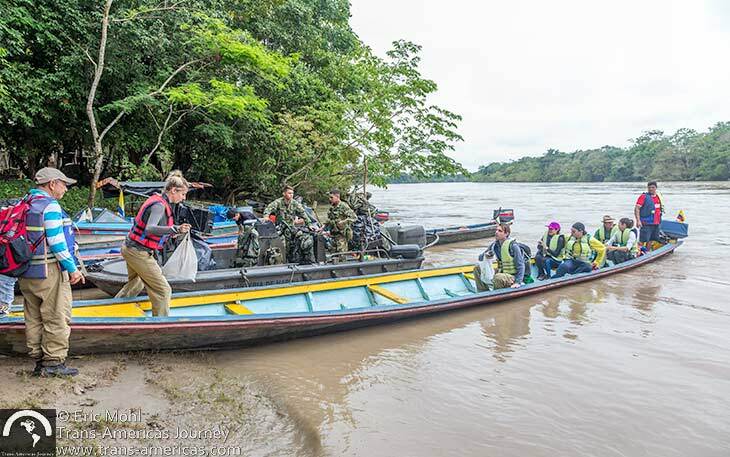 The Colombian military (with a little help from their friends – we saw a few US military personnel in the region) eventually gained control over part of the region, including La Macarena. In 2005 the area opened to tourism. 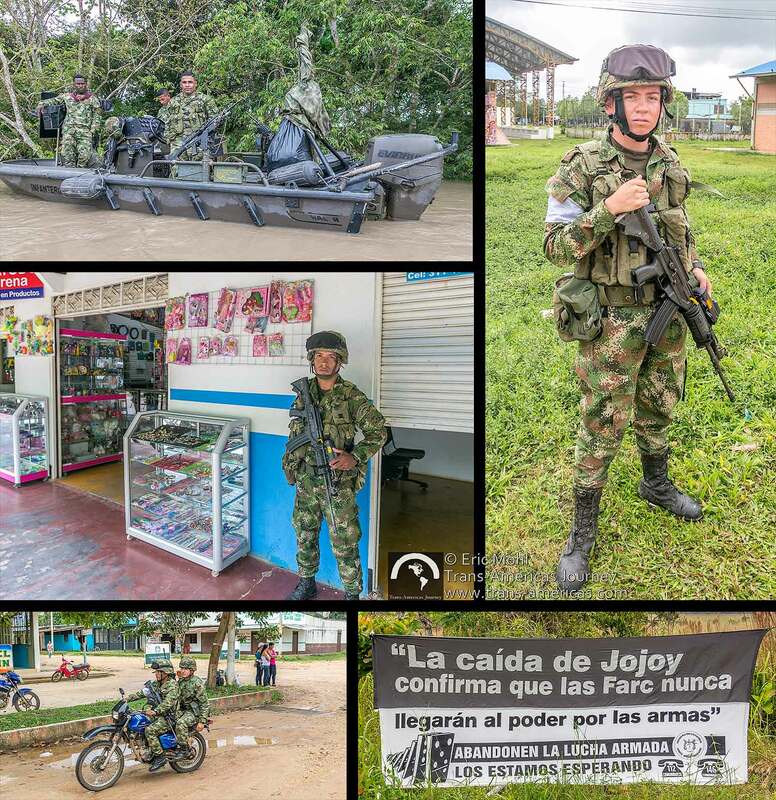 The Colombian government gained control of the La Macarena area from FARC rebels and the region was officially opened to tourism in 2005, but reminders of the guerrilla legacy can still be seen like these Colombian soldiers and this anti-FARC sign. We did see many soldiers and a lot of military presence as well as some anti-FARC signs, but we never felt unsafe in any way. The peace deal between the Colombian government and FARC rebels in 2017 and the subsequent demilitarization of the rebel group is likely to reduce any FARC presence in the area even more. 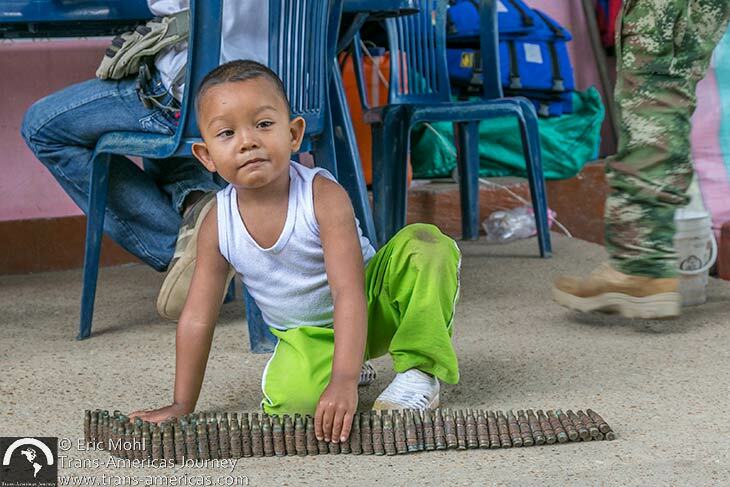 A boy plays with bullet casings at a military post in La Macarena. When is the best time to travel to Caño Cristales? Plan your trip between June and December. That’s when water levels, water flow, and water temperature combine to create the perfect conditions for the Macarenia clavigera plants to flourish. At other times of the year water levels are too low or the flow is too fast and the plants become dormant and colorless. 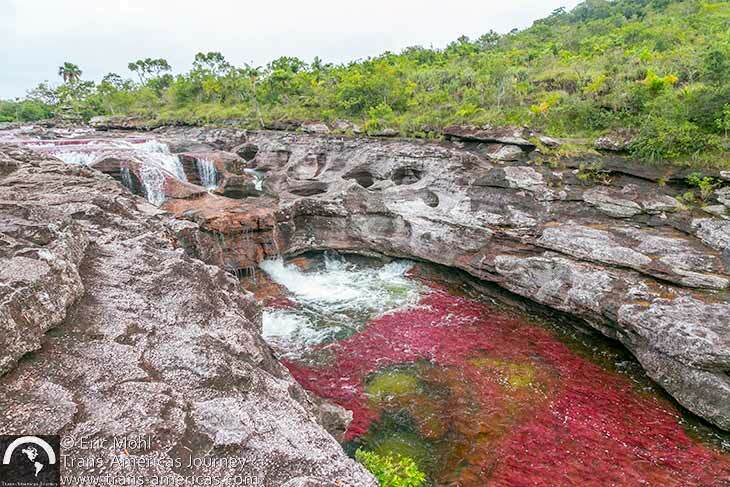 Caño Cristales showing its colors like no other river in the world. Learn more in our story about Caño Cristales for BBC Travel. 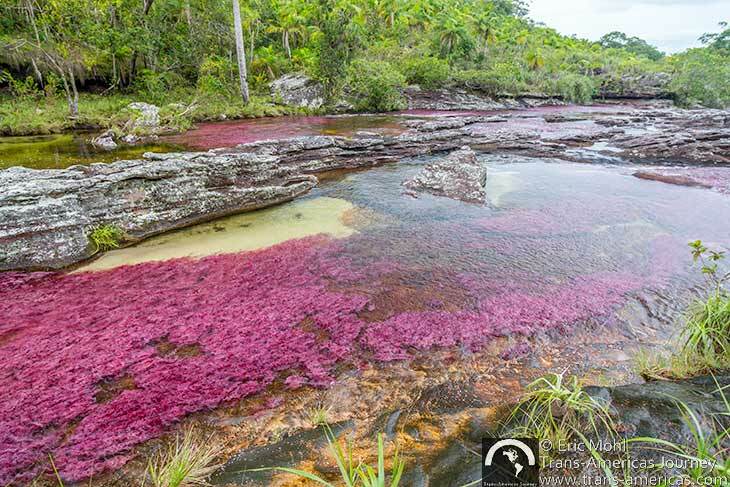 And don’t miss our Caño Cristales photo essay which is full of even more photos from this one-of-a-kind river. 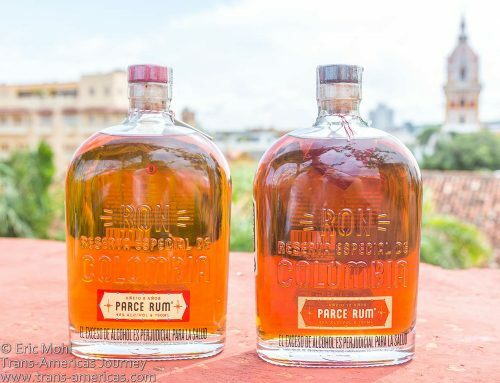 This is an in-depth travel report with great information I will use as I make my way to South America one day. What a mind-bending river … would love to see it in person! Hi! I’m planning to go to Cano Cristales in August of this year. Do you know if a Yellow fever injection is required? 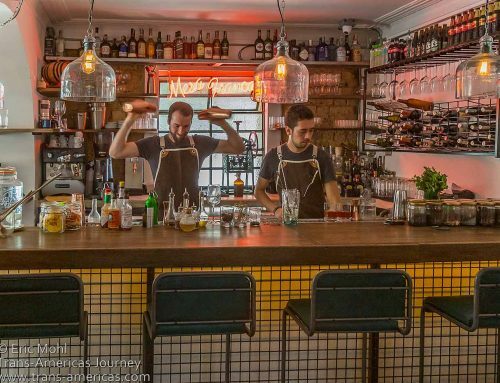 And also we were planning on getting our own flights to La Macarena, do you think booking a tour guide from the town will be easy? 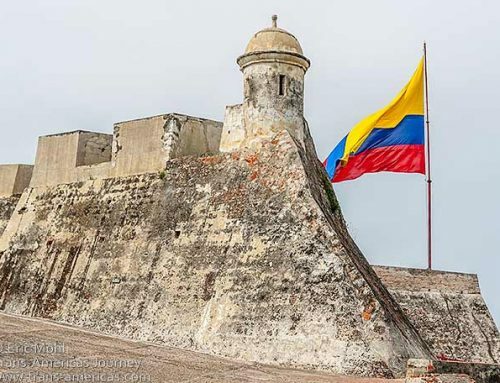 We don’t know if yellow fever is required for Colombia or the La Macarean area at this time. Check on the State Department country information page for advice about that. You can book your own flight to La Macarena and hire a guide (required) from one of the local community guiding orgnaizations. However, it is sometimes more economical and certainly easier to go through a tour operator who can book everying (flight, guide, hotel, etc) in advance. Enjoy this wonderful place!